The wireless station "TLA" with it's frequency range of 2,0 - 3,33 MHz is nearly identical to the "Tragbar Leichte Funkstation" "TL". The set carried the Telefunken designation Stat. 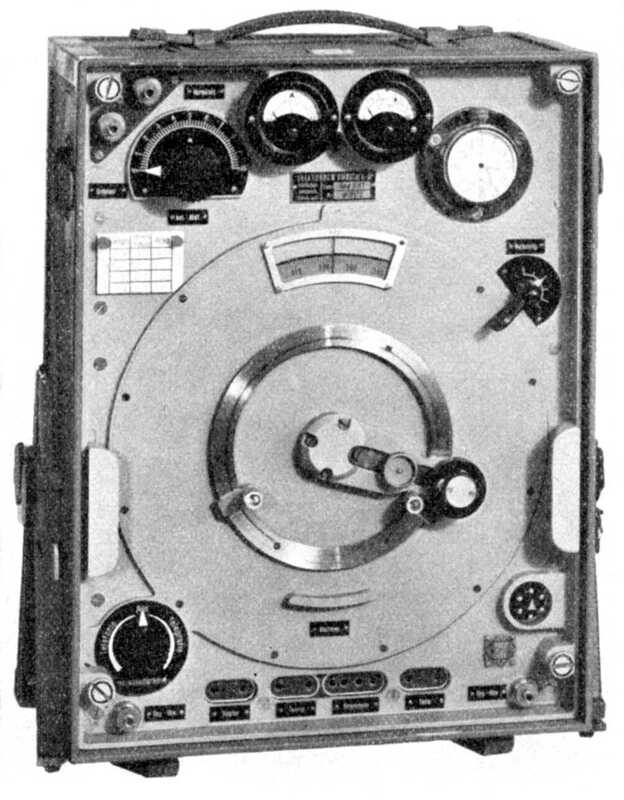 1011 Bs, consisting of the transceiver Ase 3017, Battery Case and pedal-operated generator; it was ordered for Artillery units in 1942 / 1944. With the artillery units, the wireless station "TLA" with a frequency coverage of 2,0 - 3,33 MHz has been introduced in the years 1942/4, it has a very similar construction to the "TL" set. The station with the Telefunken designation Stat. 1011 Bs consists of the transceiver Ase 3017, a battery case with the acuumulators and power control circuits and a pedal operated generator. Because of the longer wavelengths, some more antenna elements are necessary to erect the 16 m standard antenna. Similarly to the "TL" station, the TLA is powered from a LT / heaters accumulator and HT / anode batteries in reception mode; in the transmit mode, the necessary higher anode voltage is generated by a pedal-operated generator, this will also charge the accumulator for the valve heaters.